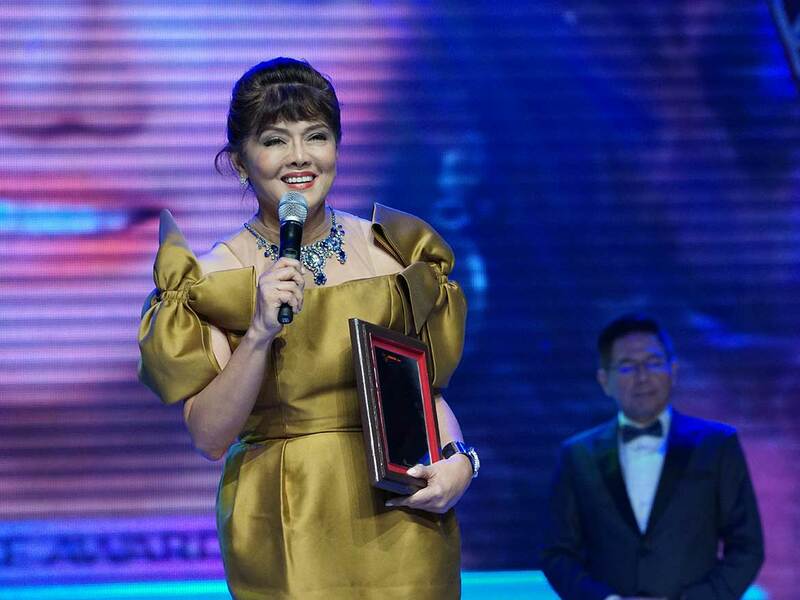 Ilocos Norte Governor Imee R. Marcos was among more than 50 personalities from show business and public service recognized at the 49th Box-Office Entertainment Awards held May 20 at Resorts World Manila, chosen by the Guillermo Mendoza Memorial Scholarship Foundation. The GMMSF is an award-giving body that honors performers and artists for commercial success in the local entertainment industry, and gives special awards to those excelling in other sectors. It was named after philanthropist and former Bulacan Town Mayor Guillermo Mendoza. Governor Marcos received the Outstanding Government Service Award. “Just like the late, great Mayor Guillermo Mendoza, I have had a lifelong love affair with cinema,” she said during her acceptance speech. From 1981 to 1986, Governor Marcos was director-general of the Experimental Cinema of the Philippines, producing cult classics such as Himala; Oro, Plata, Mata; Misteryo sa Tuwa; and Soltero. “I thank all those who have shown me the way to bring inspiration, imagination, creativity, and that unwavering belief in crazy great talent to local government,” she added.